On June 5, Wisconsin voters will head to the polls to decide whether to recall controversial Republican Governor Scott Walker and his lieutenant governor, Rebecca Kleefisch. The current polling shows a close race. But while it’s not yet clear whether Walker will survive the vote, it’s increasingly safe to declare one winner and one loser from the recall election. The winner is the national Democratic Party, which is already reaping benefits. The loser is the cause of civility in the state of Wisconsin. 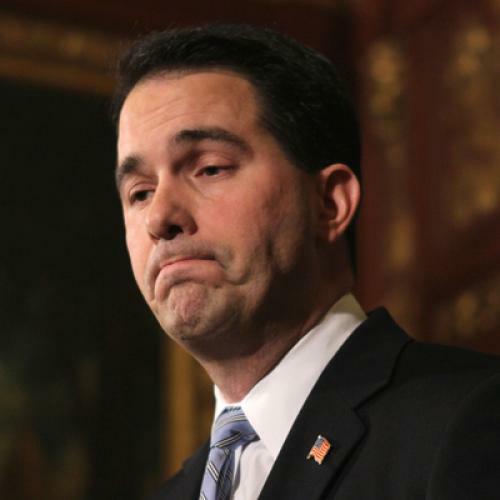 True, if Walker wins, it is possible that the momentum will help Republicans in the presidential contest. But the prospects are much higher that even a Democratic defeat would be helpful. The recall event has already energized union voters, and no doubt Democrats will try to paint Mitt Romney, the presumptive Republican presidential nominee, as lining up behind Walker and his anti-union efforts. To be sure, the recall effort does pose risks for Democrats. One possibility that commentators have mentioned is that Republicans in other states will use the same recall tool to remove Democratic governors. (Think of Mark Dayton in Minnesota, for example, who faces a majority Republican legislature.) But this risk seems minimal. There is a reason that there have been only two successful recalls of sitting governors in the last century: It takes time, money, and a lot of voter anger to remove someone from office whom voters have just chosen for the seat. While many opponents of governors talk of a recall, the talk rarely translates into action, and a successful Wisconsin recall is unlikely to change that. It takes an odd confluence of events to produce a potential majority to undo a statewide election. The real risk posed by the recall effort, whether or not it’s successful, is the continued immobilization and partisan gridlock of Wisconsin state government. Democrats and Republicans have been locked in political battle since Walker took office and took aim at public sector unions. Last summer, Democrats successfully recalled some state senators, but not enough to flip control of the legislative body (although a recent resignation made the state Senate an equally divided chamber). With these political battles raging, state politics is at a standstill. As was shown by Gray Davis’s recall in California (which ultimately led to the election of Arnold Schwarzenegger), state business cannot be done effectively when the state’s governor must fight for his political life. Whether or not Walker prevails in the recall vote, the political temperature in Wisconsin is likely to stay hot. Having already decided the governor is unfit to serve, Walker’s critics won’t be eager to work with him if he remains in office. If the recall is successful, a Democratic Wisconsin governor is likely to face an enraged Republican legislature. Similar conditions led to a divisive and costly government shutdown recently in Minnesota and a fight over voter ID laws (just like the fight in Wisconsin). Emotions riled by the recall will likely also have implications in November’s presidential election: If the race between President Obama and Mitt Romney is close in Wisconsin, the state will be ground zero for claims of voter fraud and voter suppression. There have already been portents of such division. Before the recall efforts, Wisconsin voters were treated to a particularly nasty race for a state Supreme Court seat. The Republican incumbent narrowly won reelection after a dispute over the counting of ballots, but was accused by a Democratic court colleague of choking her during heated exchanges over the legality of Walker’s anti-union laws. The incident remains under investigation, although prosecutors declined to press criminal charges. Both Wisconsin Democrats and Republicans should pray that come June, nothing gets that ugly. Richard L. Hasen is a professor of law and political science at the U.C.–Irvine School of Law and author of The Voting Wars: From Florida 2000 to the Next Election Meltdown. He also writes the Election Law Blog.